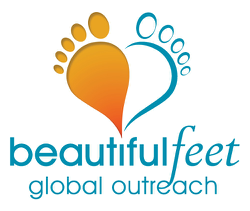 © Copyright Beautiful Feet Global Outreach, Inc. 2016. All rights reserved. Sign - up to receive our email newsletter. We send no more than 1 to 2 emails per month. Our Newsletter often contains information not publicized elsewhere.